1. Theresa, how did you discover best-selling author Nicholas Sparks? I was working as an assistant at the venerable literary agency Sanford J. Greenburger Associates, when another assistant brought a query letter to me for a novel called “Winter for Two.” He was the assistant to a recently deceased senior agent who continued to receive unsolicited queries (aspiring writers had no idea she had died -- this was back in 1993, before web- and email updates were the norm; the main source of information about agents were printed literary guides that were only published once a year), and it was his job to distribute the deceased agent’s queries amongst the staff. “This isn’t really for me, but I think you should take a look,” he said, dropping the letter on my desk. Reluctantly, I did as he urged and took the manuscript home to read the day it arrived in the mail. Despite my initial skepticism, I found myself riveted – and emotionally wrung out – by this very short novel. I am perhaps the least romantic woman in all of New York, and yet I found myself on the verge of tears while reading the manuscript, too choked up to speak. If this book is having this kind of effect on me, what kind of effect is it going to have on the rest of the (infinitely more romantic) women of the world? I found myself wondering. Nonetheless, I felt the novel needed work, and so I decided to ask the author to rewrite the book, based on very extensive notes that I sent back, 50 marked-up pages at a time. He was extremely accommodating and clearly very smart . . . so then I had him rewrite it AGAIN. I also suggested that we change the title to something simpler and more understated. “How about ‘The Notebook?’” I offered. When the book was finally in a state that I felt confident to submit to publishers, I sent him an agency agreement, and asked him if he had any last questions for me (we had not met at that point, and had actually only spoken by phone a handful of times). “Great! You’re my agent!” he exclaimed. I later discovered that although Nick had sent his query letter to 25 agents, I was ultimately the only agent who wanted to take a chance on him and his debut . . . 20 + years (and 20 books, 11 feature films, 1 furniture line and many adventures later) we are still partners on a creative journey that began for both of us when we were only in our 20’s. 2. How did you help shape or nurture his writings? We’ve always had an extraordinary degree of creative give-and-take, even at the earliest concept stages for his books. The most challenging part of the process is often the development of an idea that feels original, surprising and strong, and yet still works within the constraints of the genre that his fans expect and love. We do a lot of brainstorming during that period, and then once Nick feels settled enough to start writing, he usually ships up pages to me for my feedback and editing. This continues throughout the book’s completion, sometimes under extreme time pressure as deadlines and publication dates loom . . . .
3. Did you ever think he would be one this big, this fast? I felt certain in my bones that THE NOTEBOOK would be a best-seller. But I can’t say I ever envisioned the path his career – or my involvement in it – would take. I had been an assistant for less than a year when his query letter crossed my desk (I had been a lawyer prior to that), so I don’t think I even knew enough to envision what an author’s long-term career could look like. Looking back, Nick’s success seems meteoric, but I was so young and new at the game back then that I don’t recall thinking about it that way. 4. Are there any other writers you have elevated and launched that mirror him? Well, I have represented a handful of other authors for the same length of time – folks who came to me very early on in my career, and have remained beloved clients (and usually dear friends). But very few of them continued to publish so prolifically . . . some became screenwriters, or ended up focusing on teaching careers, or only ended up writing a few books, every several years. Life intervenes, so to speak; it takes a tremendous amount of commitment and focus on the part of an author to continue to publish books at the rate that allows an author to build a following quickly. Not everyone wants to follow that grueling path, as life offers many other rewarding (and often more lucrative) options. 5. 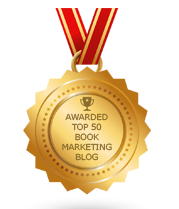 What trends do you see in book publishing? Overall, I would say that it has become much more difficult in the past 10 years to break out – and build a following for – new authors, unless they have a pre-existing social platform or public profile that extends beyond the world of bookstores. Changes in brick-and-mortar merchandising (shrinkage of bookselling space in larger shopping venues like Costco, Walmart and Target; the loss of Borders; the decline of B&N) as well as the way in which e-books are sold have made “discoverability” a very elusive thing. Furthermore, the loss of reviewing outlets, which parallels the decline of newspapers and magazines, makes it difficult to garner attention for more than a few select titles each season. Readers look for recommendations in much more dispersed, decentralized locations online, so trying to generate broader interest across our cultural landscape has become hugely challenging. The women reading The Skimm aren’t necessarily reading The Atlantic Monthly, and those readers may not be following Reese Witherspoon’s recommendations . . . yet you might need all of those constituents to create a critical consensus these days. The other trend that hasn’t been heavily documented but that I personally believe is having an impact on reading habits – and thus book buying / consumption -- is the erosion of focused reading habits. While people have been decrying the shrinkage of people’s attention spans for decades, we’ve reached new levels of electronic diversion and distraction, which makes reading an entire book a hugely concerted effort. Anecdotally, I believe that the massive glut of high quality, “binge-able” TV content has also made inroads on free time that people used to devote to reading . . . I personally struggle to avoid getting sucked into new series all the time, as I know I won’t get ANY reading done for weeks! 6. What do you see for the industry's future? I am not one of those catastrophists who predicts the end of book publishing, but I do think that new forms of distribution and marketing of book-length content are necessarily going to evolve. Traditional print publishing remains very much a B-to-B (business-to-business) model, with only a very attenuated relationship between author and reader. But the tensions and failures of that model – particularly as retailers (other than Amazon) struggle to stay afloat – are already encouraging many authors to build careers in the digital self-publishing universe, bypassing the selectivity and sometimes randomness of publishers’ and retailers’ choices. Even those authors who continue to be published by the traditional “Big Five” publishers are increasingly under pressure to develop their own means of reaching readers directly, something that publishers are still woefully ill-equipped to do. Authors can no longer count on publisher-sponsored bookstore display and the occasional Amazon banner ad to inspire readers to buy their books. Whether through the medium of film & TV, social media, influential brand partnerships or widespread grassroots appearances, the authors who succeed long-term will need to devote themselves ( hopefully with the help of their agents) to building consumer recognition and loyalty directly, rather than relying on publishers and bookstores to do so. 7. Who is your hottest writer now? All of my clients are engaged in fascinating and promising work – and they’re all at different stages in their careers, so it’s difficult to make that kind of judgment. Is someone whose debut just came out to great critical acclaim “hotter” than someone whose 20th book just spent 3 weeks at #1 on the NYT list? Or is the really “hot” author the one whose novels sell modestly, but all of them get snapped up in Hollywood the moment they hit the market? It’s impossible to make those kinds of assessments. 8. What advice do you have for struggling writers? Treat your calling like a job. Put in the disciplined, regular hours that, say, a lawyer or banker would. Also, think about the kind of career you would like to have, and try to make decisions according to a strategic plan that will get you there – again, your agent should be able to help you develop that plan. Whether you wish to model your career on Jonathan Lethem, Jonathan Tropper or Jonathan Kellerman, it’s worthwhile to think about the steps that will get you closer to your goal. Does it entail writing the kind of material that is likely to be adapted for film & TV? Developing a deep and direct relationship with your fans, like John Green? Cultivating relationships with critically lauded giants who will blurb and mentor your work? Whatever it is, embrace a direction for your career – being a writer is not only an artistic calling, it’s also a profession. 9. You are not only a literary agent but a principal of POW! Productions-- producing movies. What is that experience like? It’s a terrific outgrowth of my long history as a literary agent. I’d always been a passionate consumer of movies, but I really just backed into the role of producer. Nick Sparks had 11 feature films based on his books, and other clients of mine also had feature films and/or TV movies based on their novels. Over time, my team and I worked in varying capacities on countless films, with almost every studio in Hollywood. As Nick Sparks’s eventual producing partner, I came to know many individuals in the industry, and also gained an understanding of how films get developed, financed and made. In recent years, I began to option materials myself (usually NOT my clients’ work, as it can be tricky to address potential conflicts of interest, and also to balance the roles of advocate and producer) and build on these longstanding relationships in Hollywood to nurture my own projects. I’ve really relished this new chapter in my career, partly because it’s allowed me to venture into creative territory that I don’t visit very often as a literary agent (science fiction, YA, and middle grade fiction, for example). More than that, I’ve really enjoyed acting as a bridge between the worlds of publishing and Hollywood – I think I’m able to understand and explain the mysteries of film development and that industry’s culture better than most publishing folk. And conversely, I am able to explain to producers and studios what authors and their agents expect to gain from having a book optioned, and how to ensure that the creators benefit from that process in a way that is meaningful to their careers. 10. Which is better: the movie or the book the movie is based on? Impossible question! They’re entirely different media, so even if they’re (theoretically) telling the same story, the way people experience them is viscerally different. So many of the conventions of novels – lengthy internal monologues or thought processes, for example – just aren’t possible in film. Likewise, the powerful visual storytelling that film relies upon can’t be mirrored in words. Of course, terrific films can be based on mediocre books, and vice-versa – it all depends on execution, and on the talents and vision of the parties involved. I worked in a library for about 4 years, as a circulation desk worker, I had to read a lot of authors. I fell in love with Nicholas Sparks and his writing. As a writer, I can't come close to his style. Thank you, Brian for interviewing Theresa.